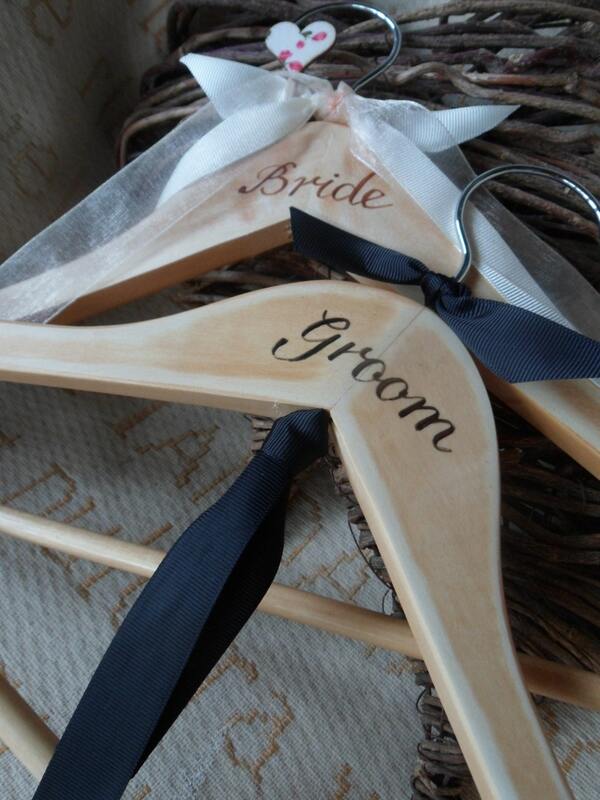 Bespoke wedding hangers... a pair of his and hers wedding hangers with hand painted Bride and Groom. Finished with Grosgrain Bow Ties. Beautiful brides deserve bespoke gifts for their special day. 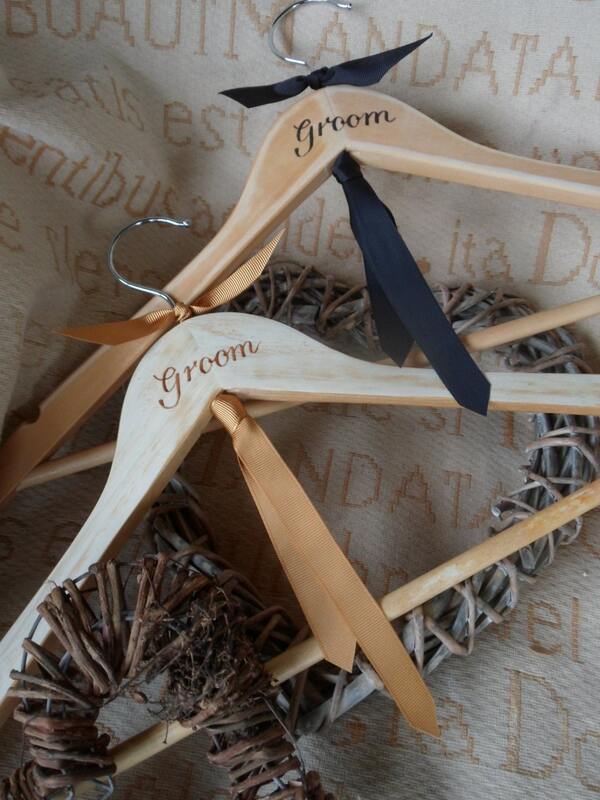 Make your day special with our bespoke wooden hangers. 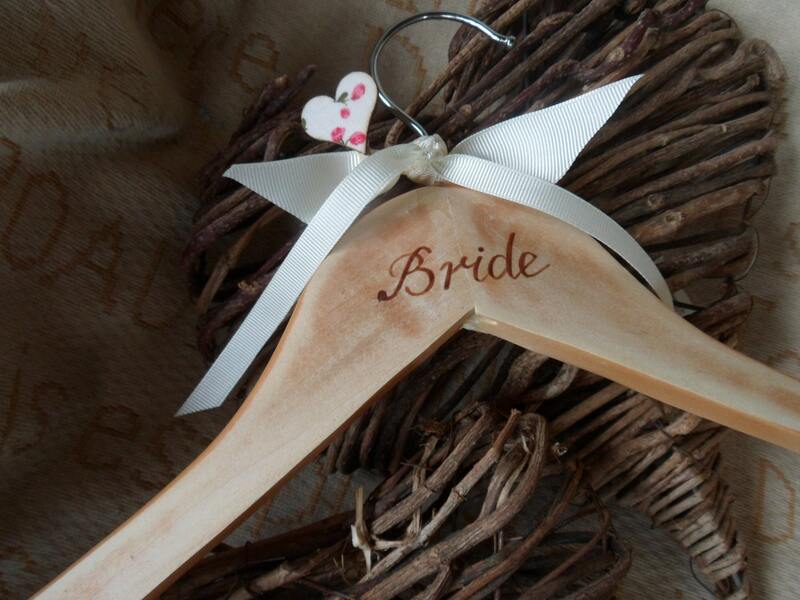 This double pack of 2 wooden dress hangers are lovingly personalised with Bride and Groom and if you prefer we can put the date of the wedding and the name and position of people in your wedding party. Each hanger has been sanded, painted with the Bride and Groom on them finished with grosgrain and satin ribbons made in a bow tie and tie to match your wedding colour scheme. 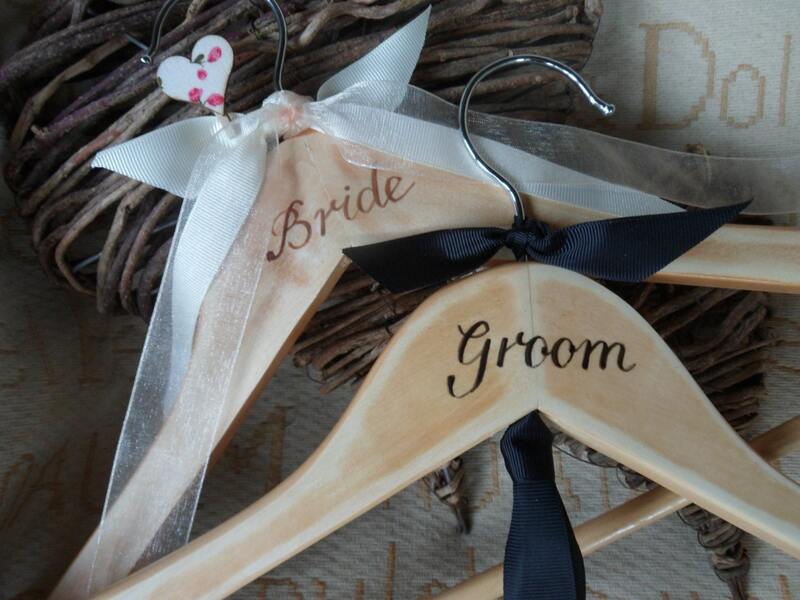 On another listing we also have hangers for your wedding party. They make a perfect affordable and personal touch to any wedding and can be made for brides, mother of the bride, bridesmaids, flower girls, best men, grooms, ushers and page boys. Are you having a photograph taken of your wedding dress on the morning of your big day? A personalised wedding hanger is the perfect addition for your wedding dress or your husband to be's morning suit and a lasting keepsake for a bridesmaid and flower girl. We will do our best to work with you for items, and our wedding range is designed to mix and match together. We will also discount for multiple orders of over 5 hangers or with anything else from the range and where possible send out and ship the cheapest option available. If you would prefer tracked delivery please ask and we will update the shipping costs. The hangers were perfect. Gave them to my daughter at her shower. She loved them.